Many people have access to multiple calendars besides their own: coworkers, groups, shared family calendars, conference rooms, etc. 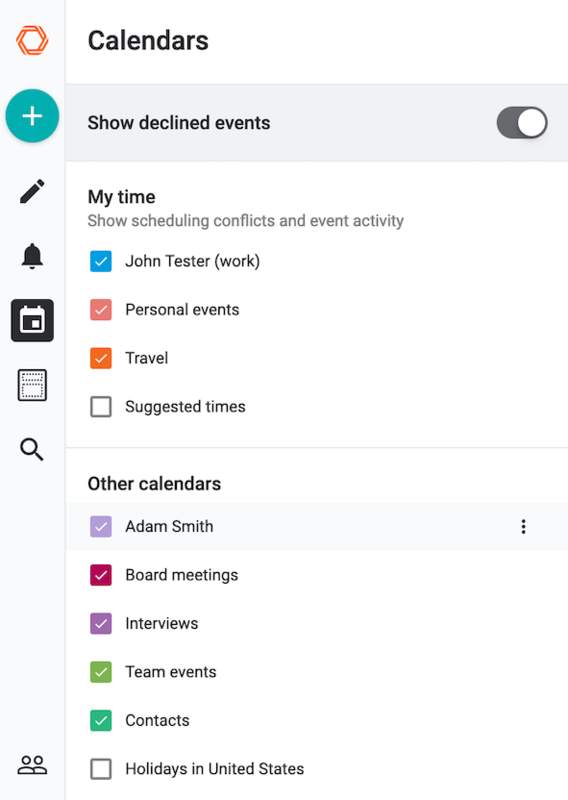 When finding or sharing times, most calendar apps don't know which calendars represent your time and which are simply used for informational purposes. 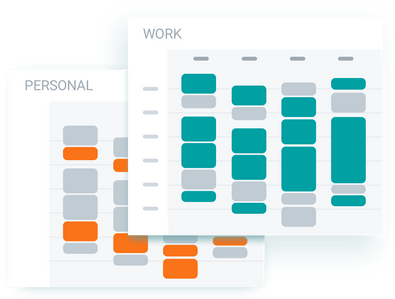 Woven's My Time feature lets you define exactly which calendars you use to schedule your own events, so you can schedule and share free times with confidence. To add a calendar to My Time, open the app menu (mobile) or the Calendars tab (desktop) to view all of your calendars. Select the "..." button next to the calendar you'd like to add to My Time, and select "Add to My Time". This calendar will now be included when Woven checks for conflicts and free times. To remove a calendar from My Time, select "..." and choose "Remove from My Time". This calendar will no longer be included when Woven checks for conflicts and free times. You can quickly display only your My Time events on the calendar. This is especially helpful when you've enabled many other calendars, and may be having a hard time distinguishing which events you need to attend. Simply turn on the "My Time" toggle at the top of the calendar view to hide all other calendars temporarily. When you want to display the other calendars again, turn off the My Time toggle and the other events will reappear.